With greater pressures to do more with less, pressures of increasing pension and benefit costs, local governments are continuing to experience tax revenue challenges. Forward-looking governments around the country are looking for ways to accelerate their tax revenues without incurring additional debt or increasing taxes on their citizens. One effective solution local governments are turning to is the sale of delinquent tax assets, providing immediate revenue. Counties, municipalities and school districts in record numbers are selling their under-performing assets to accelerate immediate revenue thus offsetting budget shortfalls. Accelerating the recognition of revenue from outstanding delinquencies into the current fiscal year. Providing budgeting certainty for revenue in future years. 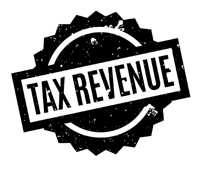 Allowing tax collection staff to focus on current year collections, increasing current revenue outcomes going forward.